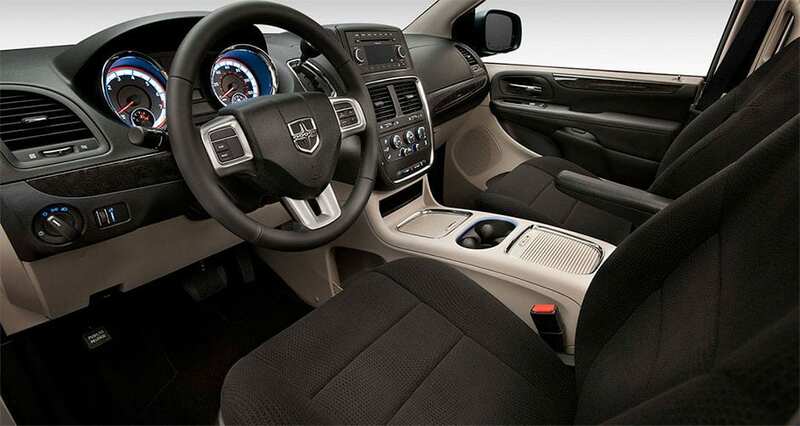 The Dodge Grand Caravan offers incredible amenities within an exceptionally comfortable interior. The minivan is offered in four different models, including the AVP, SE, SXT and R/T. It is an excellent alternative to the Honda Odyssey and Toyota Sienna, offering even greater capability. Features include a Plus Package which is available on the SE and SXT models. The Dodge Grand Caravan is a 3.6-liter Pentastar V-6 engine, which is linked to a smooth-shifting six-speed automatic transaxle. The engine, which was named a "Wards's 10 Best Engine" three years in a row, offers a best-in-class horsepower of 283, 260 pounds-feet of torque, and 3,600 pounds of towing capability. The Grand Caravan boasts a driver-selectable fuel economizer mode, allowing drivers to change the transaxle shift schedule and maximize their fuel economy. 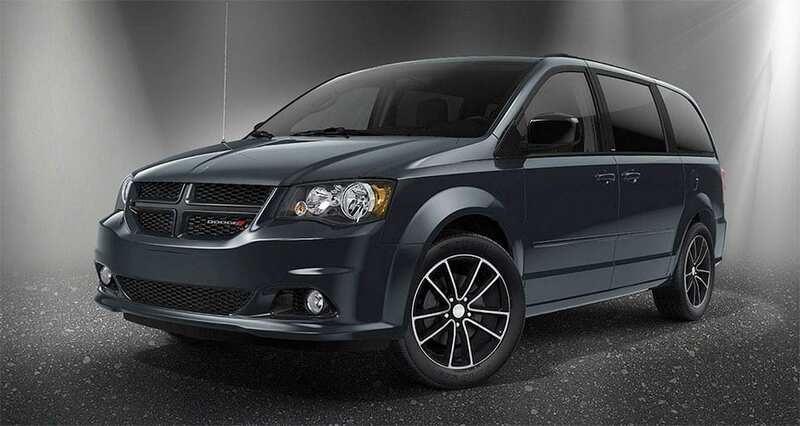 The Grand Caravan is also more aerodynamic with reduced mechanical drag, a spoiler and lower-rolling resistance tires. The Grand Caravan has a luxurious interior, with optional leather seats, dual-zone manual air conditioning, and available Stow 'n Go second-row bucket seats. Integrated technology includes a Uconnect touchscreen media system, a Blu-ray backseat entertainment, remote start, auto-dimming rearview mirror, and a tilt/telescoping steering wheel with audio controls. The Uconnect system offers hands-free connection to the outside world, with a variety of media options. Also available are heated front and second-row seats, and heated steering wheel, as well as second-row power windows and second- and third-row retractable sunshades. The exterior is sporty, with Dodge's trademark crosshair grille, and 17-inch wheels, either aluminum or steel. Also available are power sliding doors, automatic headlights, fog lights, a power liftgate and rain-sensing windshield wipers. The Dodge Grand Caravan not only offers the highest quality of premium features, but also has safety and security systems to keep you and your passengers safe. There are over 55 safety, security and technological features available, including an available backup camera, rear cross-path detection system, rear parking sensors, power-adjustable pedals,and front head restraints. Have a question about the best minivan in the segment? Give us a call, and we would love to discuss the 2015 Dodge Grand Caravan with you! Learn more about this model on the Official Dodge Grand Caravan Website.